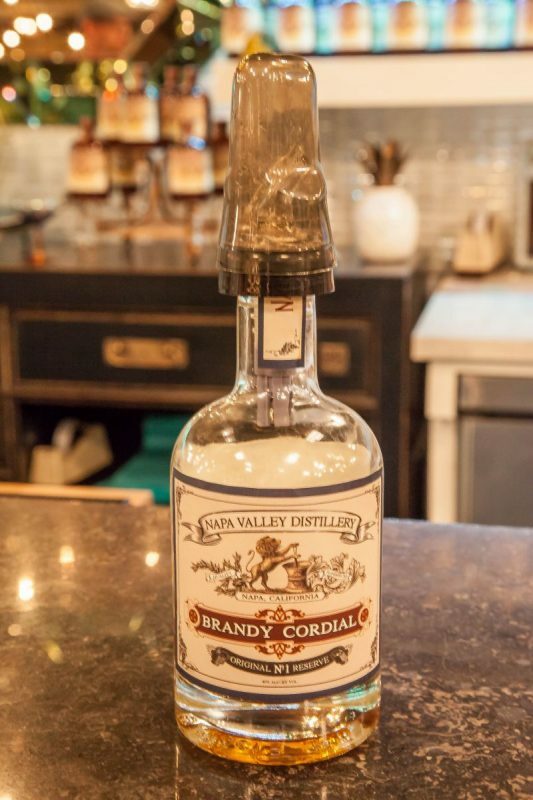 We have written about purchasing cocktail bitters from Napa Valley Distillery’s shop in Oxbow Market. However, we had yet to try their spirits, so we decided to take a tour of their Distillery in downtown Napa and correct this oversight. 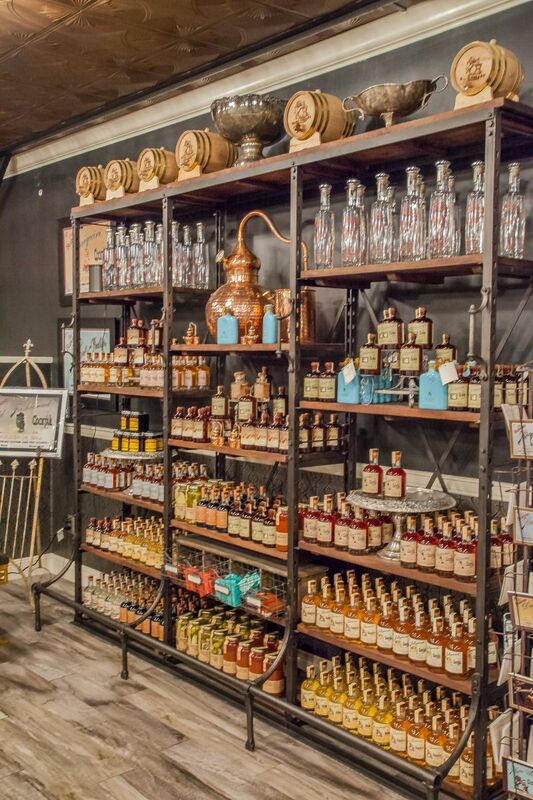 Our friends who were visiting us from out of state aren’t wine drinkers, but do enjoy fine spirits and cocktails. Our tour started at 11:00 a.m. and our adventure into learning about and tasting spirits began. 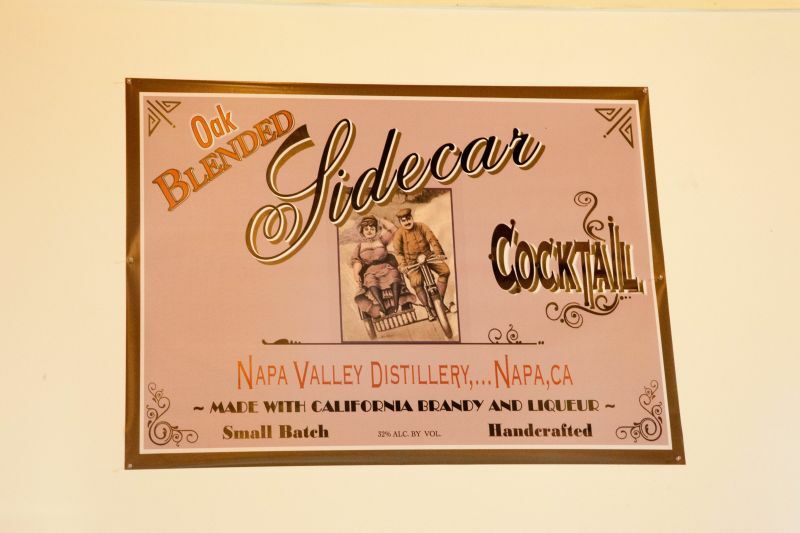 Our tour guide, Paul, plays several roles at Napa Valley Distillery. This, no doubt, explains his detailed understanding of the whole process, from distillation to drinking. You may think that last part requires no specialist knowledge, but as I will explain later in the post, he had a technique for tasting that greatly increased our enjoyment and appreciation of the drinks. California Girl comments: Paul was funny and warm. I knew exactly why he plays ambassador for the distillery. His enthusiasm for the subject and his cute personality really made the whole experience far more enjoyable. 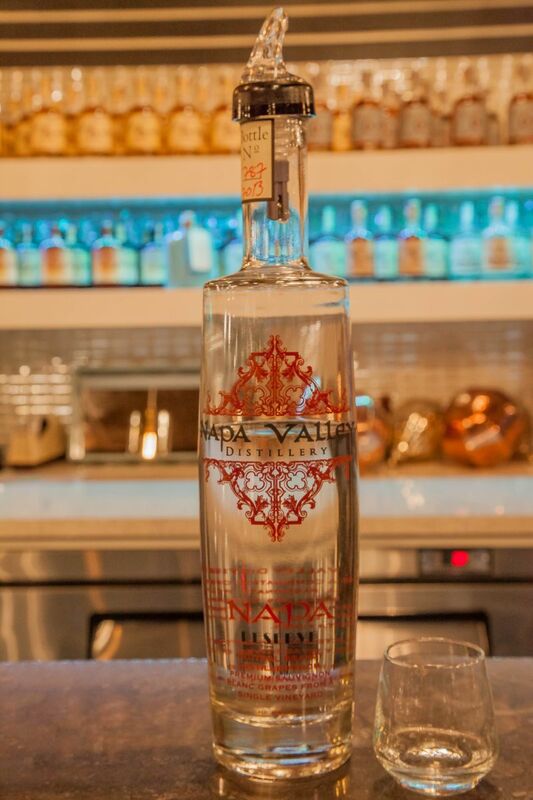 Napa Valley Distillery makes vodka, gin, brandy, rum, and barrel-aged cocktails. All of these are made in their two hand-hammered Portuguese cooper stills; neither of which match the elegance in design of those we had seen at St George Distillery. However, as we were to verify in the tasting portion of the tour, the lack of aesthetics in the stills does not detract from the quality of the end product. California Girl comments: I kept wondering to myself as we were going through and looking at the stills how they keep the copper looking so nice. I mean any of you out there who are chef’s know what a pain it is to keep your copper gleaming. Paul explained the distillation process, using their apple brandy as an example. They mash-up the apples and allow them to start to rot, they add yeast, and fermentation occurs resulting in 2-10% alcohol. They then heat up the mash to 71C, which causes the alcohol to evaporate. The first part of the distillate, known as the heads is methanol, which is poisonous. This takes about a minute. Then comes the hearts, the ethanol, which is the part that ends up in the bottles. Finally, they get the tails; a thick mix of fusel oils, which is also waste. 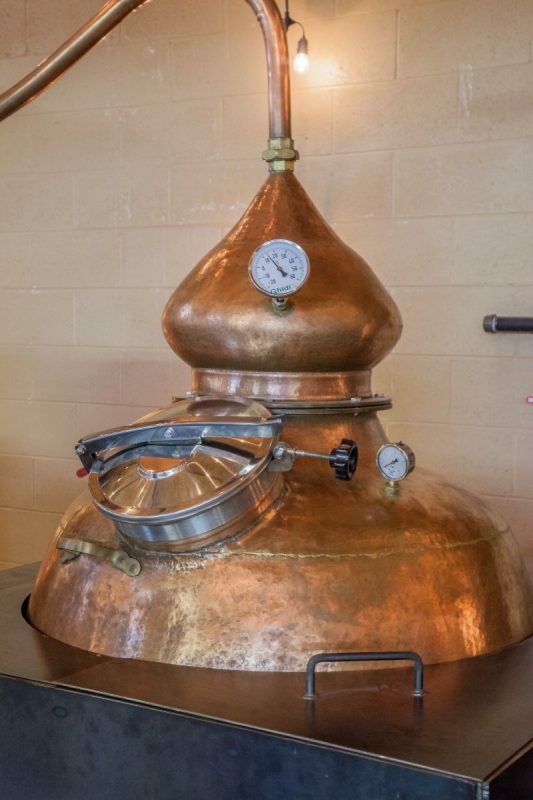 The whole distillation process takes about one to two-and-a-half hours. One corner of the warehouse was given over to bottling and packing. 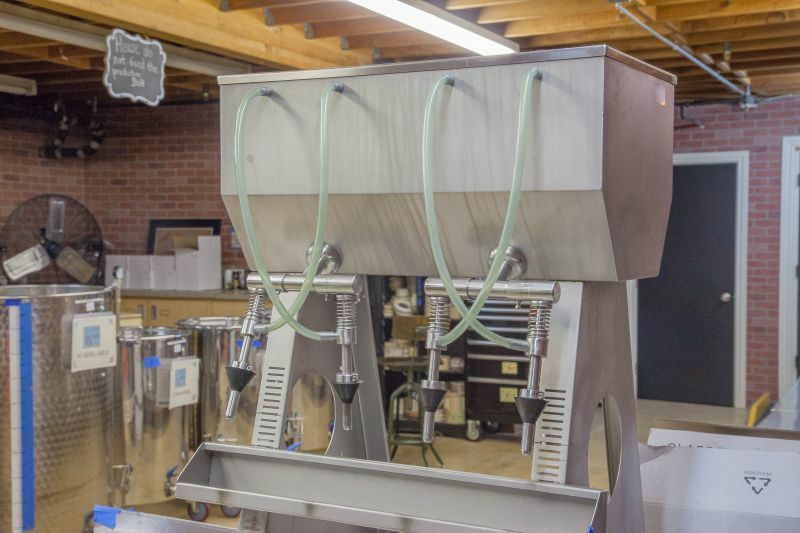 The bottling machine was a very simple device, capable of filling just a few bottles at a time. This was a reminder that the distillery is still operating at a small-scale. They currently make twenty-two different products. California Girl comments: It was an interesting discussion to hear exactly how they bottle their product. Two guys do three bottles each at a time. Wow, it must be a real coordination thing. There was also a large amount of the building given over to casks in which spirits were aging. 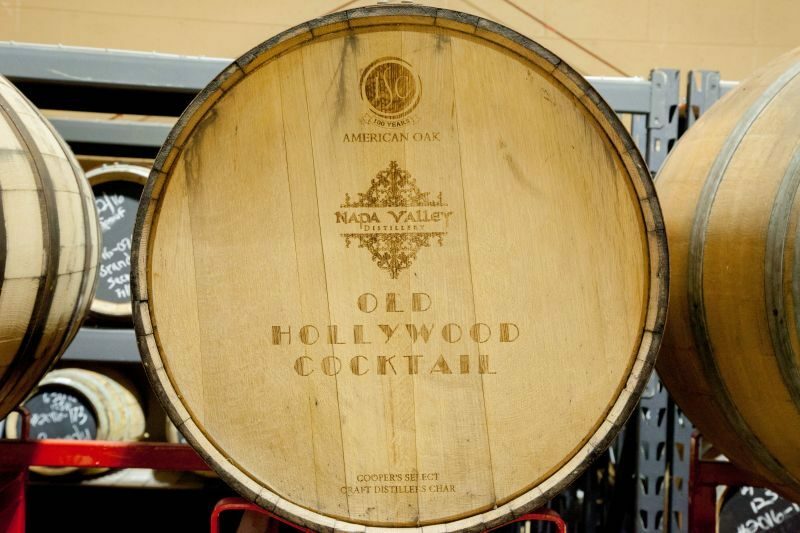 Napa Valley Distillery uses a mix of American and French Oak casks, as well as used sherry, port, bourbon, and brandy casks. California Girl comments: This was particularly interesting as they not only cask their spirits, but they age cocktails in the barrels too. It gives the booze an extra quality to it that I really enjoyed. After the tour, we were taken upstairs to the tasting room. I was expecting a utilitarian bar-area; I was surprised by the colourful, almost garish decor. 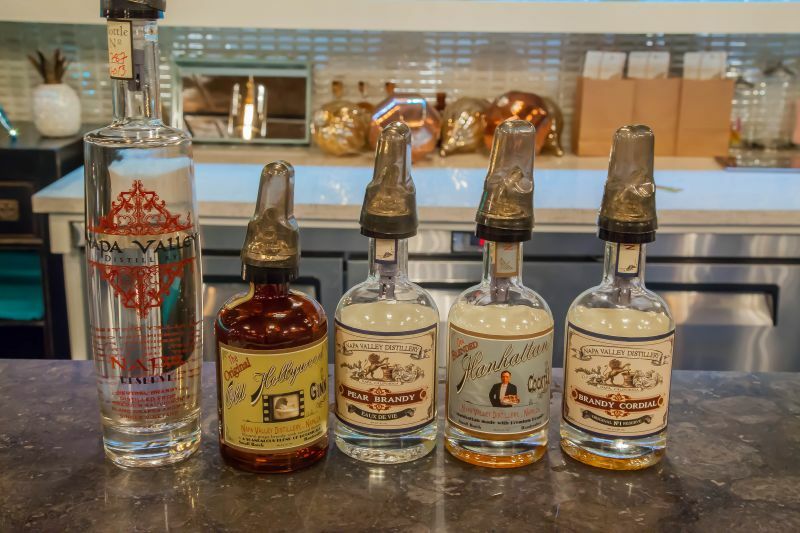 We tasted vodka, gin, pear brandy, barrel-aged brandy Manhattan, spiced vodka, and brandy cordial. This may sound like a lot of drink, but these were small tastes and the total alcohol consumed was about what you would get from a single glass of wine. 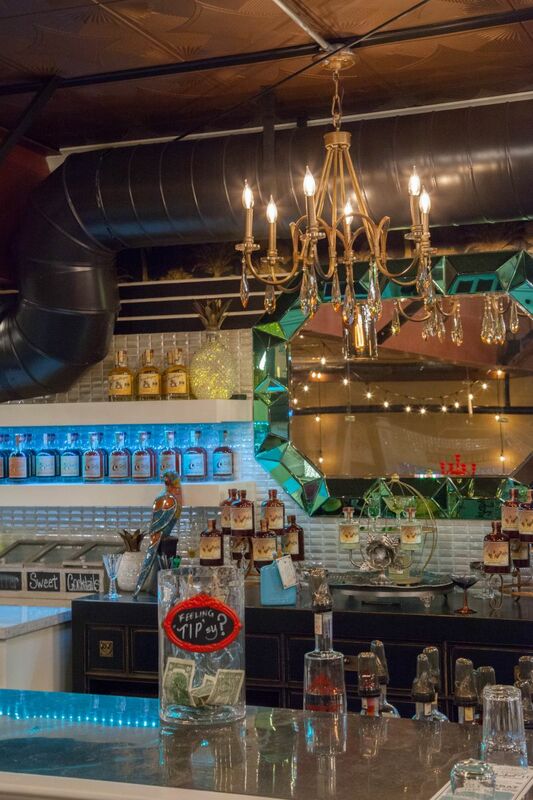 California Girl comments: I think we were all impressed by the gorgeous bar area. I could absolutely imagine partying in there and really enjoying the quality booze with friends. Or heck, making new friends while enjoying the drink. It is that kind of place! 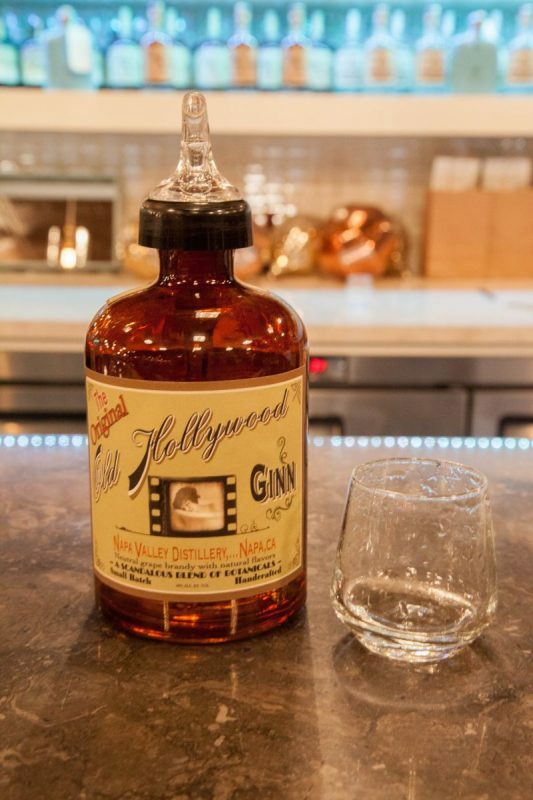 The Hollywood gin uses the vodka as a base. The nose was a mix of pine, juniper, and earth. In the mouth I tasted the juniper mixed with allspice and cinnamon. Were it not for the fact that I have several bottles of gin at home, I would have purchased a bottle. California Girl comments: I do like good gin. I always mix it with tonic or into a cocktail, but with this one I could enjoy just sipping it for the beautiful flavor. Our friends who were with us commented they never knew that gin had a flavor to it; thinking it in the same category as vodka. Boy were they wrong! The brandy cordial was my favourite; a rich deep sip with heavy over-tones of brown sugar. It spends three years in bourbon barrels. We sipped it neat at the Distillery, but I can testify that it makes a great brandy Old-Fashioned as we bought a bottle. California Girl comments: I think that the brandy cordial was everyone’s favorite sip of the day. I loved the brown sugar and vanilla notes. I have never been a brandy drinker, but I have to say that this drink could convert me. The tour had been fun, Napa Valley Distillery’s drinks were excellent, but the highlight was learning how to taste spirits; it is a very different technique from that used to taste wine. You do not swirl the spirit around the glass, as this increases alcohol evaporation, reducing the smell of the other components. You take a breath, swallow a sip straight down, and then breath out through your mouth. This enables you to experience the flavor of the drink, without the alcohol burn that you will get if you swill it round your mouth as you would with wine. California Girl comments: After our tutorial on how to taste spirits, we tested it out further (for scientific reasons of course) with my homemade infused vodkas. We all marveled at just how much more enjoyment we got out of drinking the spirits using this technique. Vodka of which I had been previously been proud, I was actively loving after tasting it properly. It brought out all of the flavors. Wow, what a huge difference. Similar to wine tasting, it is all about the technique. 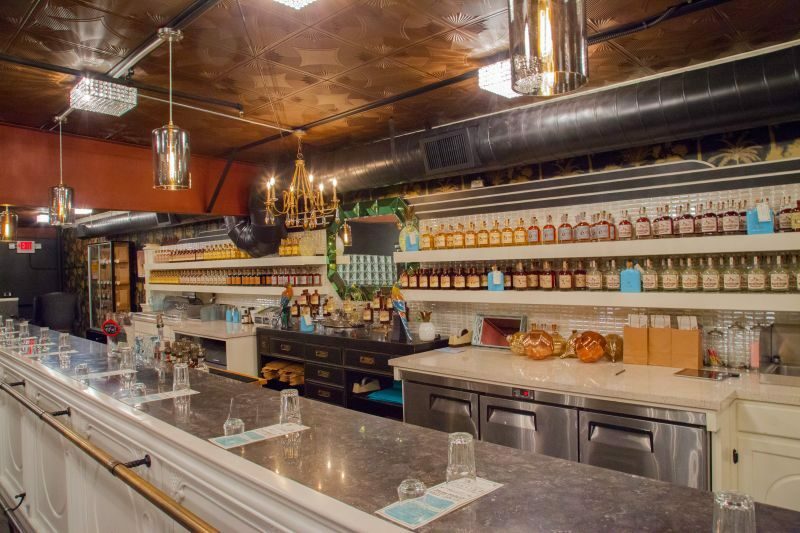 The tour can be booked online or by calling the distillery, It costs $30 per person; which given the quality of the tour and the tasting is a more than reasonable price. 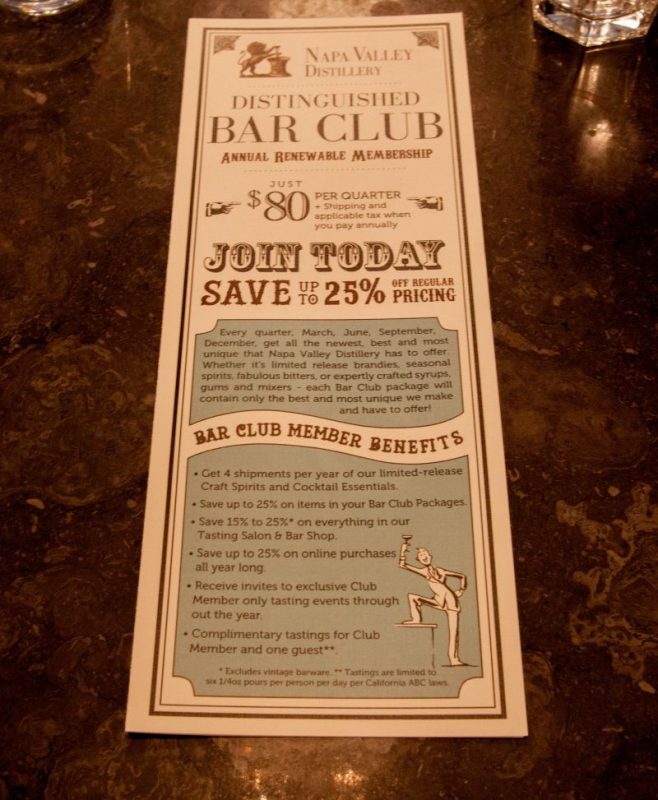 Napa Valley Distillery also offers a club which costs $85 per quarter, with discounts if you pay in advance. You can see details of the club here . California Girl comments: What a great day. A wonderful and interesting tour that we would highly recommend. 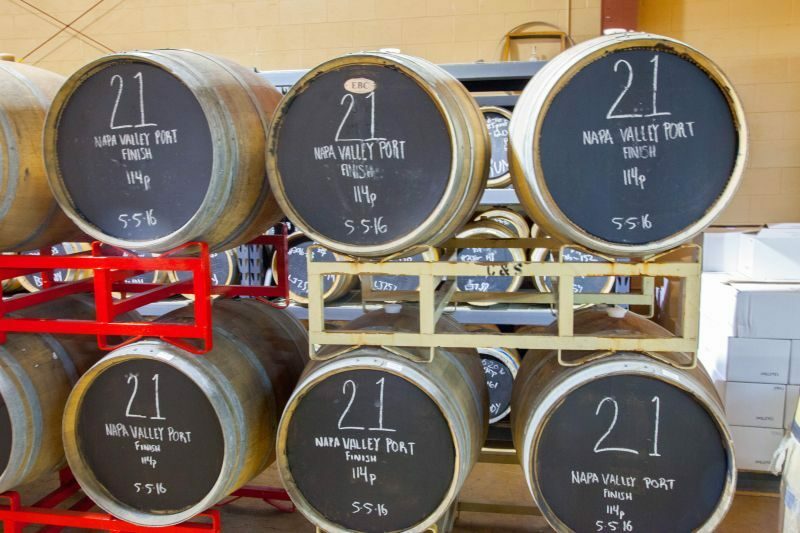 I know that in Napa wine is king, but there is room for spirits and beer too.